What will we do during our two weeks in Buenos Aires? My friends had lots of ideas, and so did I. 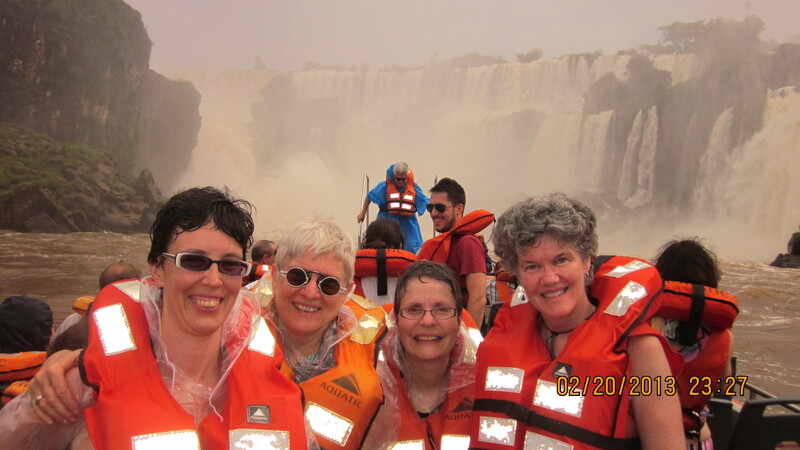 How to plan a rich 2-week experience of El Sur was my challenge when four dear friends travelled to Buenos Aires and Iguazú Falls, Argentina in February 2013 (summer in BA!). They wanted to see and do all that was possible, so that’s the trip we planned. In advance of the trip, we searched online for suitable housing that met all their criteria (3 bedrooms, internet access, air conditioning, in the Recoleta neighborhood) and I located one that did exactly that—and just a block away from my own apartment there. I recommended a travel agent to them who assisted with their flight arrangements to Buenos Aires as well as a hotel stay and tour for their 2-day side trip north to see Iguazú Falls, a marvelous natural wonderland of 200 waterfalls, good hiking and lush vegetation at the border with Brazil. And for the entire two weeks of their South American vacation we enjoyed Buenos Aires as few tourists usually do. 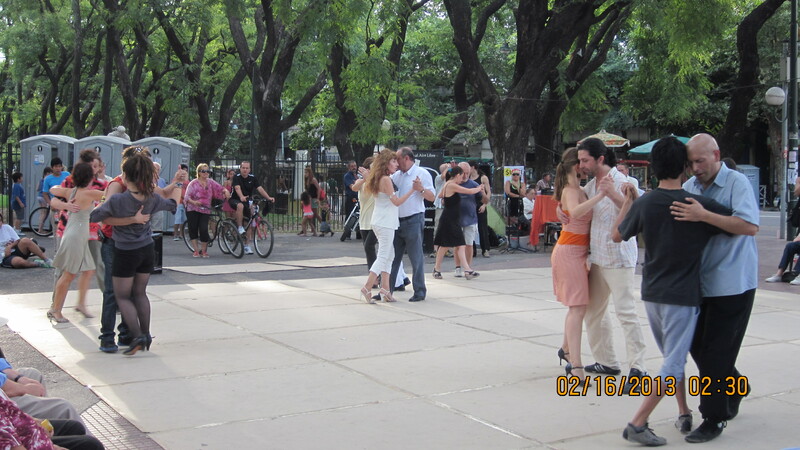 Not only did we visit all the typical tourist sites including excellent museums, outdoor weekend arts and crafts fairs, see a traditional tango show, but we also visited with my growing community of Argentinian friends, enjoying one another at the outdoor weekly tango concert/dance in Parque Patricios, friends’ lovely country house in Colonia del Sacramento, Uruguay, where we discussed everything from local foods to film, politics, Argentine history and so much more! In all, we saw exhibits at five museums, including the Museo de Belles Artes (Museum of Fine Arts), MALBA–Museum of Latin American Art in Buenos Aires, the Evita Museum, Museo Casa Carlos Gardel, Fundación Próa, and the newest, the Museo del Bicentenario, around the corner from the Casa Rosada. 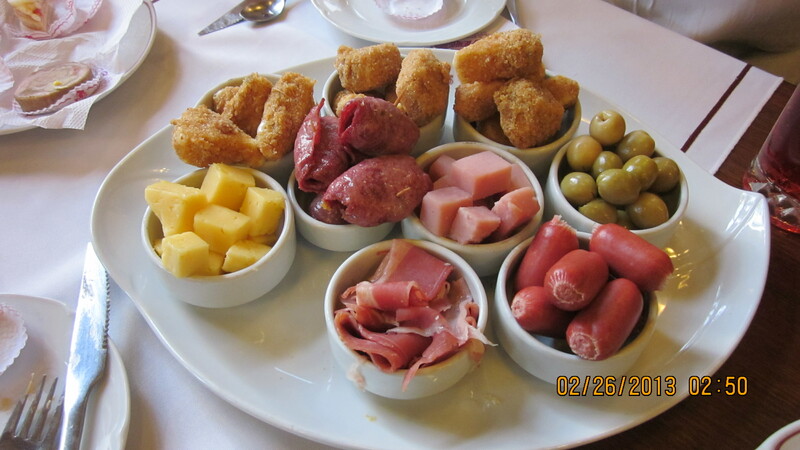 tried the picada meat/cheese/olives-and-more sampler and beers at my favorite, Bar de Cao. 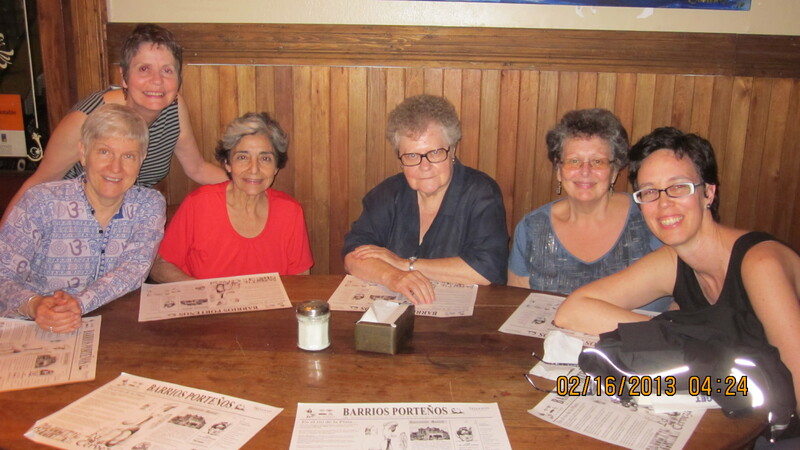 or planned, we saw the professional show of tango dancing, singing and music at Piazzolla Tango, the folkloric music of northern Argentina we shared at La Peña del Colorado and lastly the Lopez Ruiz Jazz Quartet at the jazz club Notorius. buses, cars, taxis, plans, ferries and miles on foot. We went on guided tours of the Recoleta Cemetery, a city-sponsored bus tour of Buenos Aires, a driving tour of the San Telmo and La Boca neighborhoods, and the most expensive, a wonderful tour of the famous opera house the Teatro Colon. We scoured two weekend outdoor arts ferias in Recoleta and San Telmo. I wasn’t the only guide on the trip, either. I was delighted the evening Larra led us the La Cumaná restaurant, where we had a delicious dinner of food local to northern Argentina. Other Argentine gastronomy we had included: artesan ice cream (gelato), máte, medialunas and facturas, lots and lots of delicious Malbec, coffee, local beers, chivito sandwiches and Josefina’s homemade Pia nóno in Uruguay, fresh pastas and excellent risottos. Incredibly good grass fed, hormone-free beef and chorizos, along with cheeses, olives and artesanal breads. What’s not to like? Join me and enjoy summer or fall in Buenos Aires in 2014! I’m here for the academic year and Iquazu is one of the things I really want to do! Great pictures! It just makes me want to go even more, which I didn’t think was possible.